We take physical, emotional, psychological, and spiritual health seriously. From the first day a student arrives, we provide a range of services to help students get and stay healthy. Our approach is preventative, proactive and holistic. Need to get to a clinic off-campus? Grab a taxi voucher and go. No cash needed. Regular health offerings include alcohol awareness and prevention, de-stress week, flu shots and immunizations, HIV testing and “Well Women” exams. From the flu to more serious illnesses, the nurse practitioner and medical director in the Health Center are ready to help. The Center accepts most medical insurance coverage and all services are completely confidential. With 361 days of sunshine per year, our setting pretty much guarantees year-round outdoor living. You can join intramural games or club sports and take advantage of facilities such as our gymnasium, weight room, baseball stadium, beach volleyball courts, boathouse and more. 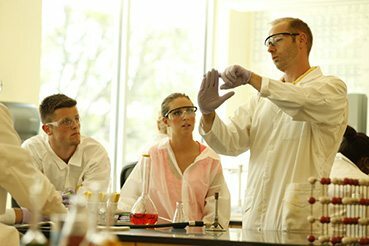 The Office of Health Promotion directs programs and services that foster the health and well-being of our students and campus community. We provide health programming to discover strategies to optimize your emotional and physical health throughout your years at Eckerd and beyond. Our Campus Safety officers provide a safe environment 24 hours a day as well as a mass notification system for emergency communications and emergency preparedness training. 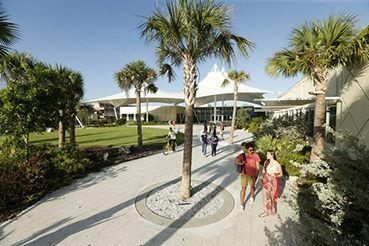 During the academic year, our student-run Eckerd College Emergency Response Team (EC-ERT) responds to medical emergencies on campus twenty-four hours a day, seven days a week. We have counselors on staff to help you navigate the emotional ups and downs of college. Talking with one of them can give you insight into how to make good choices for yourself that will get you where you want to go. All services are free of charge to full-time students and completely confidential. We provide proactive and follow-up case management services for students referred to the Intervention Team for personal, emotional, and academic concerns. Outreach Services staff are typically the first contact when gathering information about how to help a student or when trying to connect a student with resources on campus. We foster a continuing and challenging campus conversation about spiritual issues, discussion focused on the role of religion and spiritual life in the contemporary world and enrichment of a student’s spiritual life through our Center for Spiritual Life. If you need classroom or housing accommodations, check in with the Office of Accessibility on how to get the support services you need. We offer confidential information, assistance, and support to survivors of sexual assault, relationship violence, and stalking. Whether you are on the path to healing, want to know more about your reporting options, or are supporting a friend, our Office of Advocacy and Gender Justice can help. 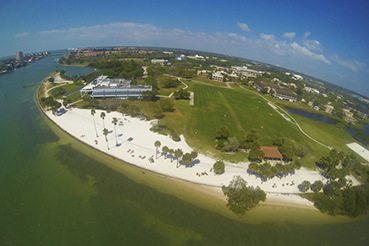 Eckerd College is committed to complying with all requirements as set forth by Title IX of the Education Amendments of 1972. Our Spring Wellness Fair offers free massages, mental health checks, fun runs and acupuncture.